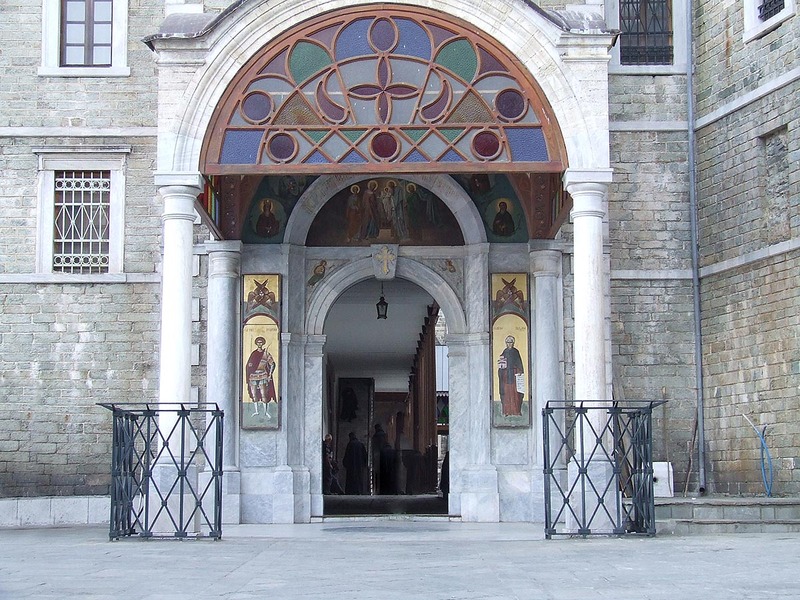 The Monastery of Agios Pavlos celebrates on the 2th of February the Presentation of Jesus at the Temple. According to tradition the monastery was founded by Agios Pavlos Xiropotamitis, owner of Xiropotamou, in the end of the 10th-century. 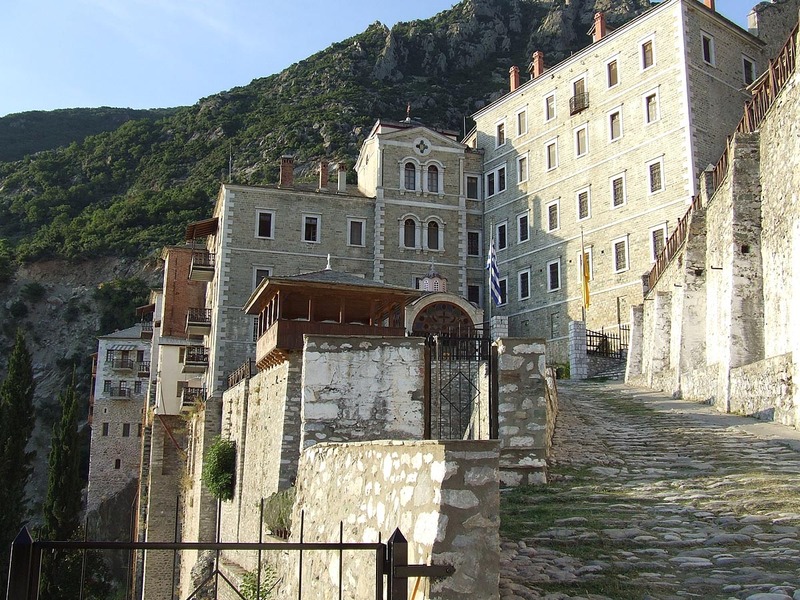 It was originally established as a cell of Xiropotamou but it was cited as a monastery in a golden seal of Emperor Mihael Paleologou in 1259. 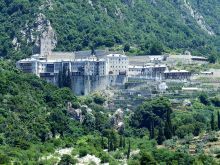 The Monastery of Agios Pavlos is located in an altitude of 140 meters, at a 20 minute distance from the sea and holds the 14th position in the hierarchy of the monasteries in Mount Athos. At the end of the 14th century the monastery was passed to the jurisdiction of two Serb monks of Xiropotamou, Gerasimos Radoniios and Antonios Pagasis who rebuilt the Monastery since it had been destroyed by the looting of Catalans and managed to have it recognized again as the 18th in rank monastery referred to in the third Document of 1394. 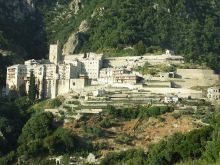 As an independent monastery it is mentioned for the first time from Xiropotamou on the official document of Patriarch Mattheos in 1401. The first and most important benefactors were the family Vrankovich, bishops of Serbia, who undertook the construction of the Katholikon. The daughter of the family Mara, wife of Sultan Murat II helped towards the prosperity of the monastery with her offerings. She sent 'The Gifts of the Three Wise Men' which had fallen into the hands of the Turks. The prosperity of the Monastery Agios Pavlos lasted until the 16th century with the protection and assistance of the rulers of Moldova and Wallachia. 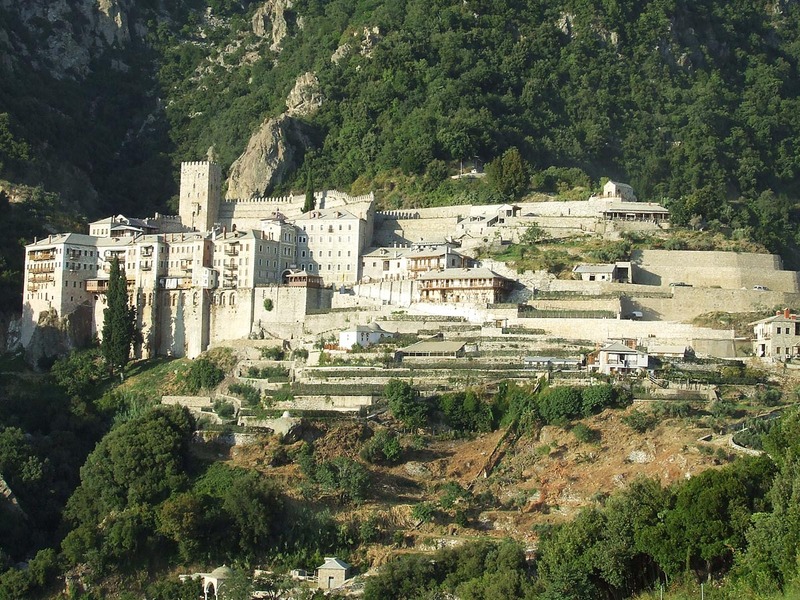 In the 18 th century the monastery was in a critical economic situation and came out of this difficult position at the end of the century thanks to person in charge of the sacristy Grigorios. 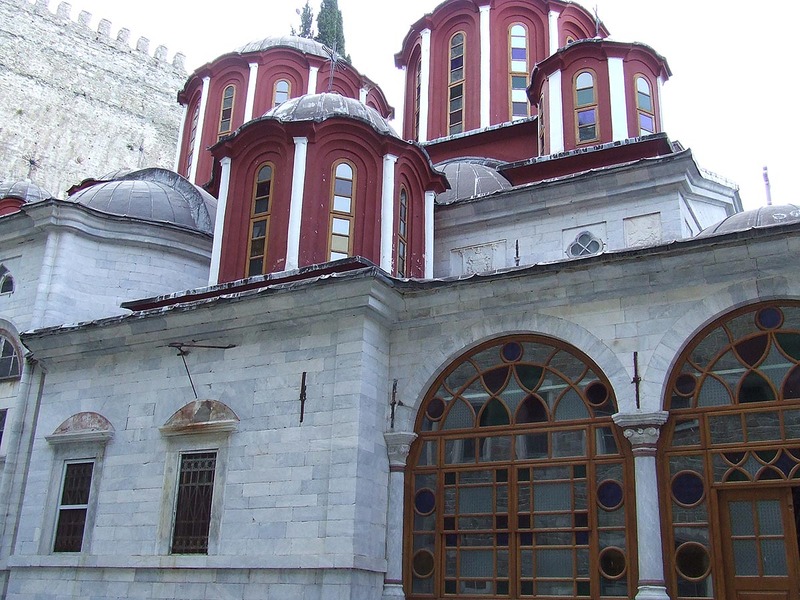 At the beginning of the 19th century Anthimos Komninos from Serbia was in charge the renovation of the wings and the Katholikon and donated many pieces of land. During the Greek Revolution the monastery was destroyed and remained without monks. 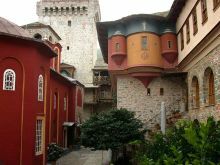 Later thanks to the donations of tsars Alexandros I and Nikolaos I the reconstruction of the buildings was completed and the monks returned again. 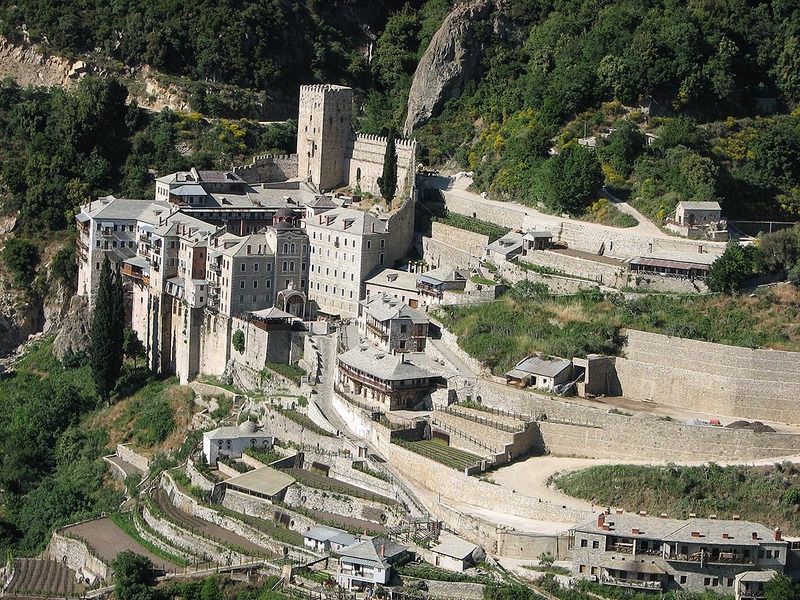 In 1902 a large part of the monastery was destroyed by fire while in 1911 it was destroyed by flood. 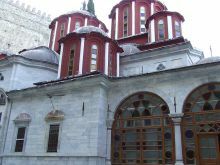 The Katholikon is commemorated on the 2nd of February on the Presentation of Jesus at the Temple. 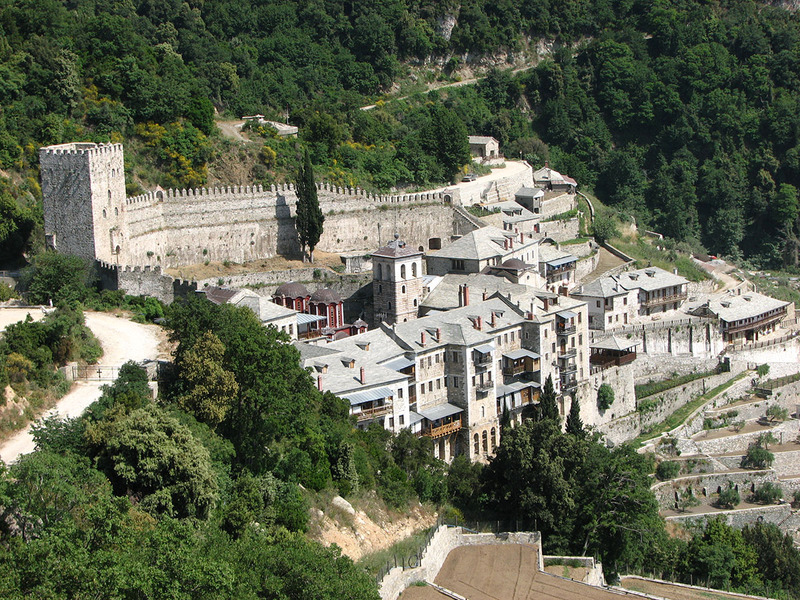 It was inaugurated on the day of Agios Georgios' celebration and it was built in 1817-1845. The Prothesis was built in 1902-1903 without any murals. 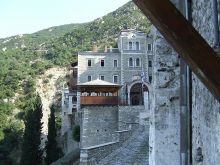 The monastery owns approximately 10 chapels, such as the chapel of Agios Georgios with frescoes from the 15th century. It also owns 3 Cells in Karyes, 2 Sketes, the Romanian Sketi of Lakkou dedicated to Agios Dimitrios which consists of 2 Kalives and Nea Sketi. The library contains only 500 manuscripts and 10,000 printed books of recent era. In the sacristy there are the Gifts of the Wise Men, two pieces of Holy Wood as well as a diptych of enamel with the picture of Pantokrator which comes from the school Maas and it was made in 1200. Extremely valuable is a pastoral cross with pearls and 40 thumbnails. The precious pictures include those of Agios Georgios and Panagia Myrovlitissa. Guests should visit the chapel of Agios Georgios, at the northern wing with the murals of Cretan School from1554, the part of the gifts of the Three Wise Men that are kept in the Katholikon and also the library with the handwritten codes from the9th-10th century. The miraculous picture of Virgin Mary was in a famous monastery of Constantinople called the Myreleou (Myrrh Oil). 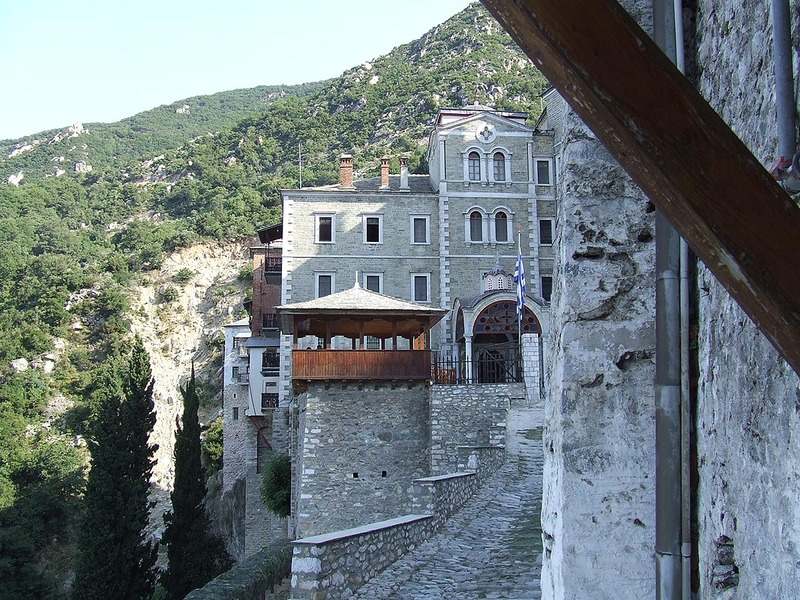 Agios Pavlos Ksiropotaminos took it from there and brought it to Mount Athos and he devoted it to the second monastery he founded and which took his name. This holy picture once began to spout myrrh and therefore it has since been called Myrovlitissa (Emitting Myrrh).